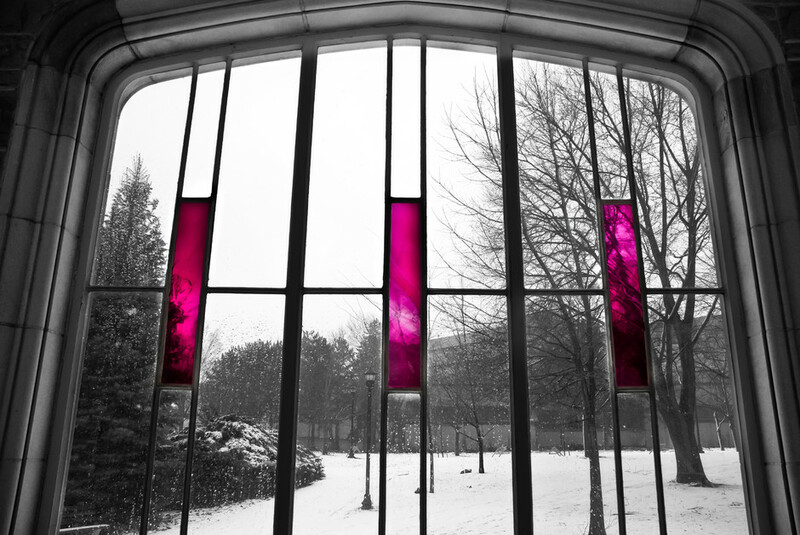 This is a stainglass window in a gallery running between Thames Hall and Sommerville House at the University of Western Ontario. The picture is an HDR composite from three images. 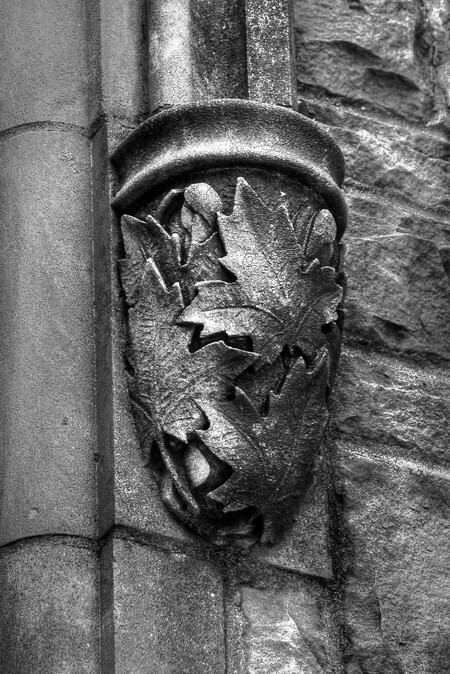 This architectural detail featuring maple leaves forms the bottom of a moulding that frames a window arch on a building at the University of Western Ontario. 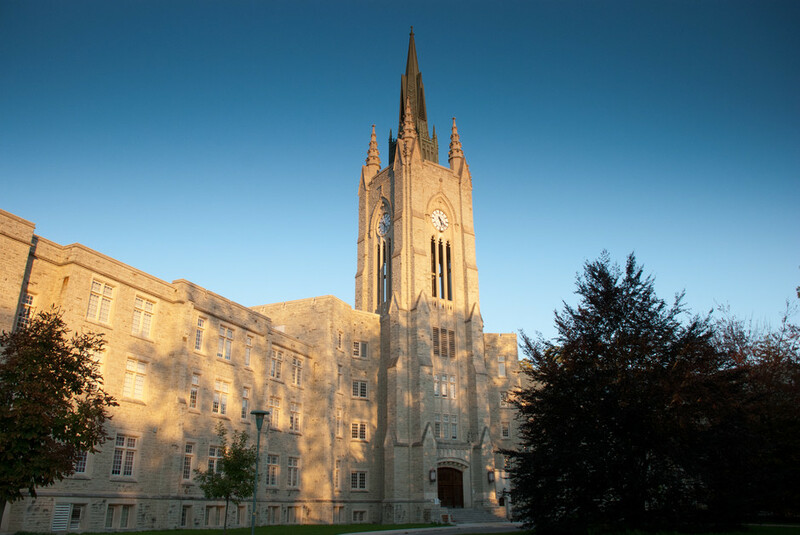 It is a recurring feature on all the buildings at the university built in the neogothic style. This is an HDR composite from three images. 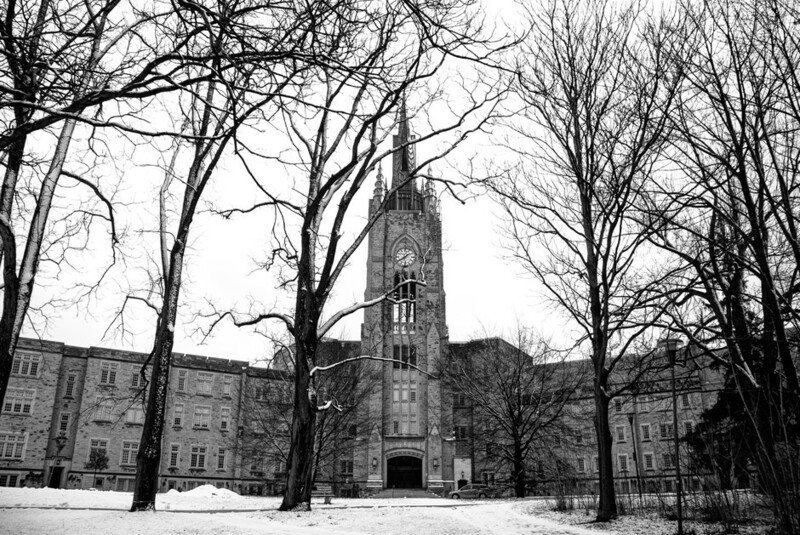 A winter view the imposing edifice of Middlesex College at the University of Western Ontario. This picture is an HDR composite from three images. Braving the snow squall recently, I was out taking pictures at Western. 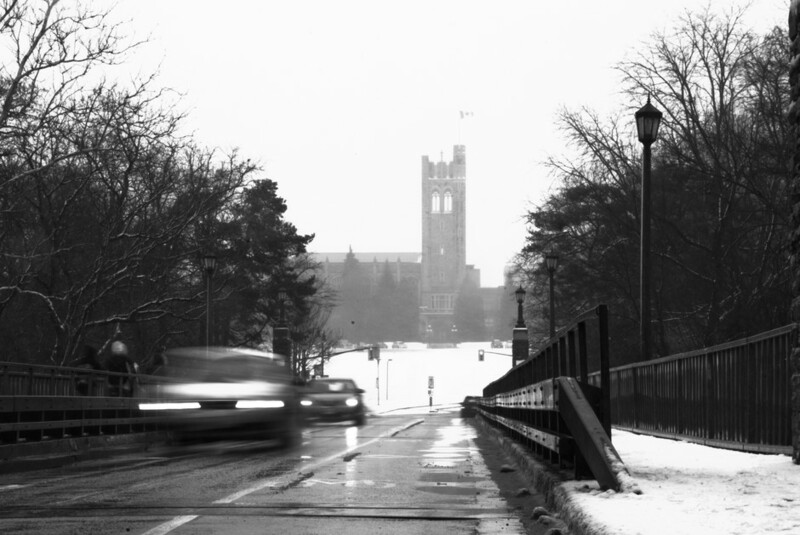 Here’s a view of University College seen on the hill above the bridge over the Thames River. 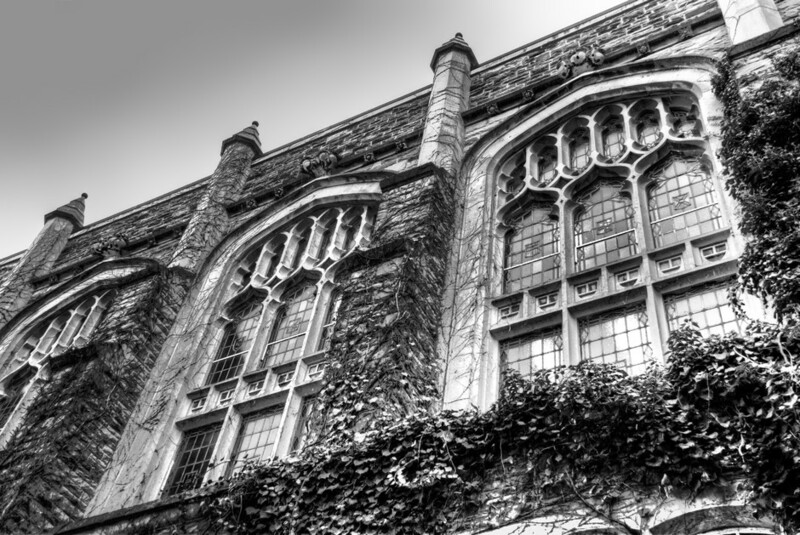 Picture of the gorgeous, Gothic stain glass windows of Conron Hall in University College, the oldest building at the University of Western Ontario. Conron Hall is without a doubt the most beautiful lecture theatre on campus; for a second, you will be forgiven for thinking you have walked into Hogwarts. 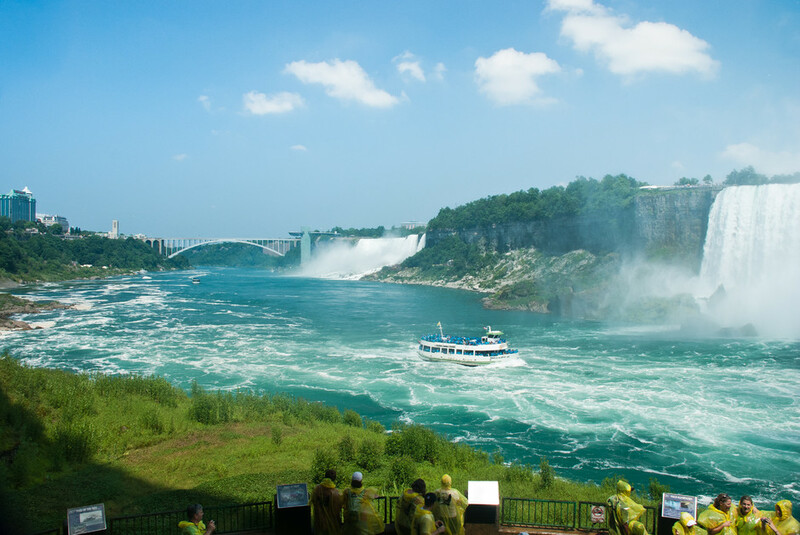 The picture is an HDR composite from three different images. 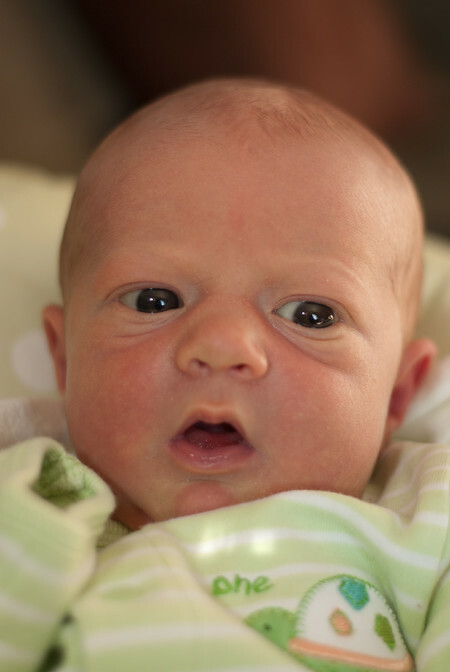 Sebastian easily looks astonished by the world. 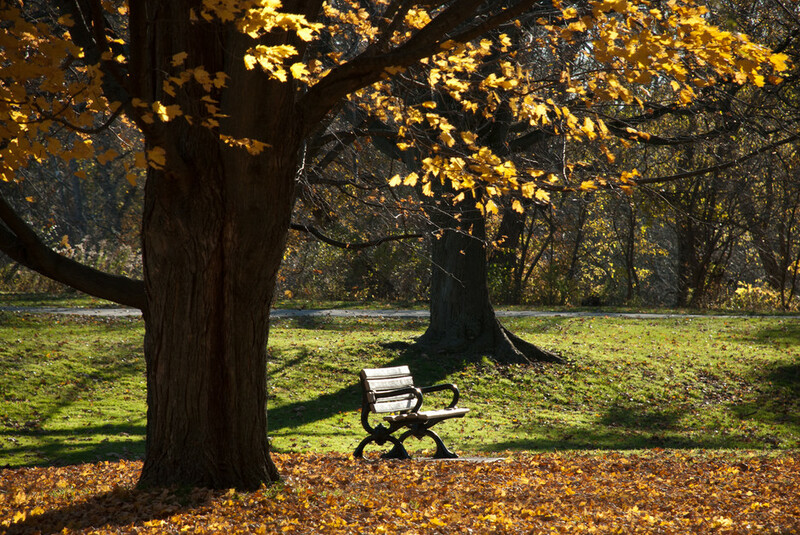 A bench enmeshed in the golden hues of an autumn afternoon. We found this gnarly old willow on the banks of the Thames River in London. London, Ontario, that is. 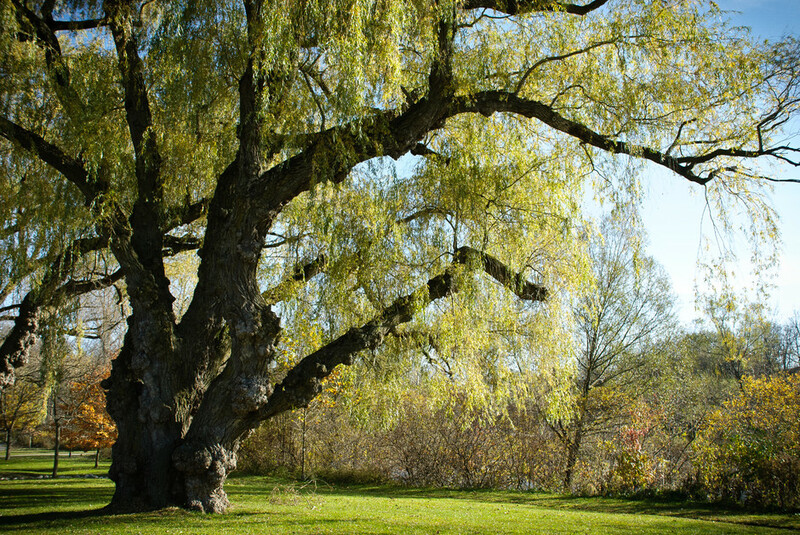 There were several other old willows in the park striking grotesque postures. Middlesex College at the University of Western Ontario. 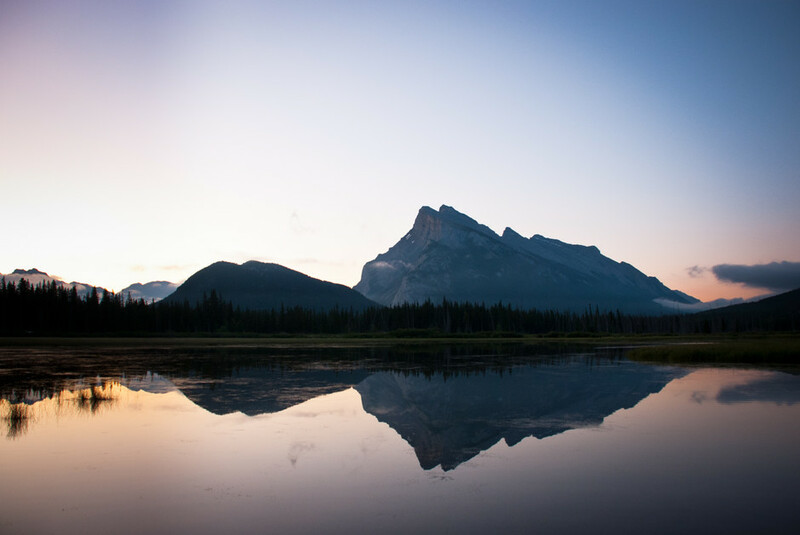 Sunrise over Lake Vermillion, with Mount Rundle in the background. Scarcely four hours after being down by the water to gaze at the universe, a few of us from the workshop went back to observe the sunrise. It was crystal clear and hardly a cloud in the sky, leading to less colour and beauty in a more subtle dimension. Stargazing in the Rockies…see the Milky Way in all its splendour. 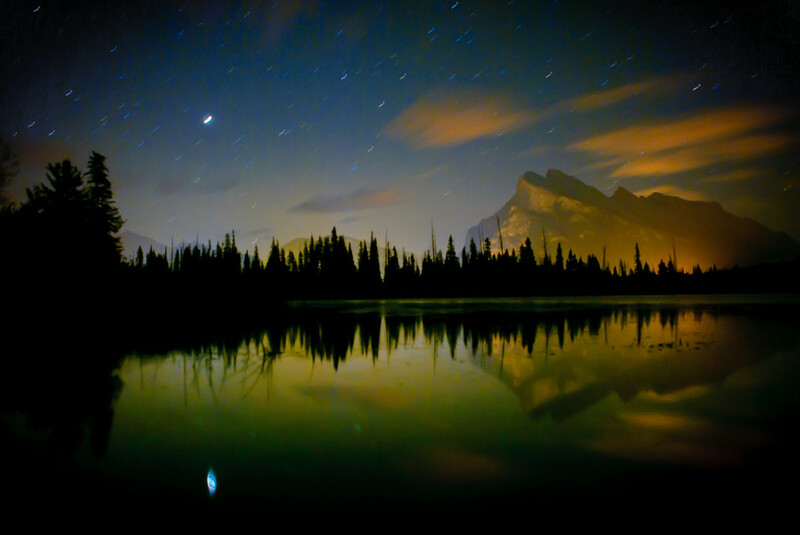 This picture was taken at 2am on a jetty on Lake Vermillion, close to Banff. I have only brightened this picture and done some noise removal — the colours are all original, reflecting the wavelenghts that were present but too subtle to be seen with the naked eye. The orange light that floods Mount Rundle is light pollution from Banff; in this instance, it created an otherworldly effect. The stars appears as streaks because of the movement of the Earth. The bright dot reflected in the water is Venus. I didn’t have a tripod, so I rested the camera on the edge of the jetty. As people moved around, the jetty started rocking slightly, hence the stars didn’t move in a straight line.